This Wednesday, November 15th, the Dominican Friars at St Patrick’s Church in Columbus, Ohio, will celebrating a Missa Cantata in the Dominican Rite for the feast of St Albert the Great. 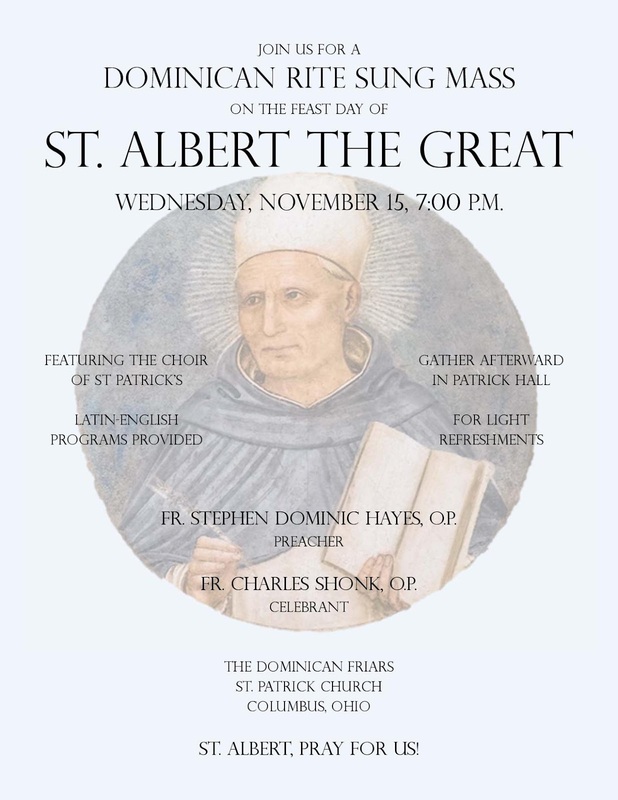 Mass begins at 7:00 p.m., followed by light refreshments in Patrick Hall. The plainchant of the Mass will be sung by the Choir of St Patrick’s. The church is located at 280 N. Grant Avenue.